I’ve used a term often on the blog over the years, and it’s been this vague idea that I’ve never really explored or explained further. However, I’ve come to realize it’s the underlying principle to the way I style myself every day, and you’ll see it over and over again in outfits on this blog. : someone or something that is seen or noticed in a particular place, area, etc. Being petite, it’s easy to get lost in clothing. Our proportions are smaller, so fabrics don’t hang or drape the same way they do on taller people (losing the basic shape of your figure). Also, we are often being viewed from above (vs. from below or eye-level like tall or average-heighted people), further creating visually shortening effects. 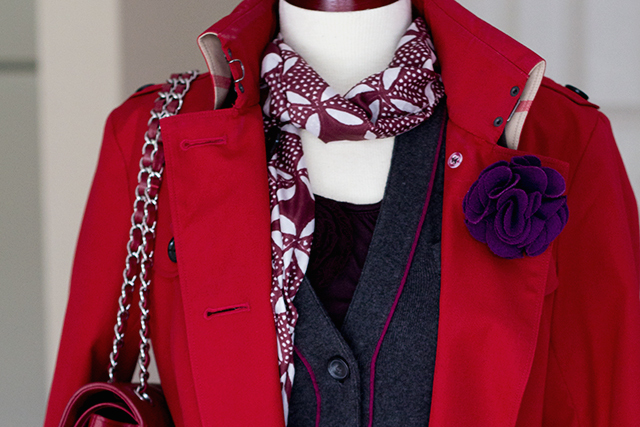 Showing you personally exist under all that fabric can be as easy as showing a little skin. 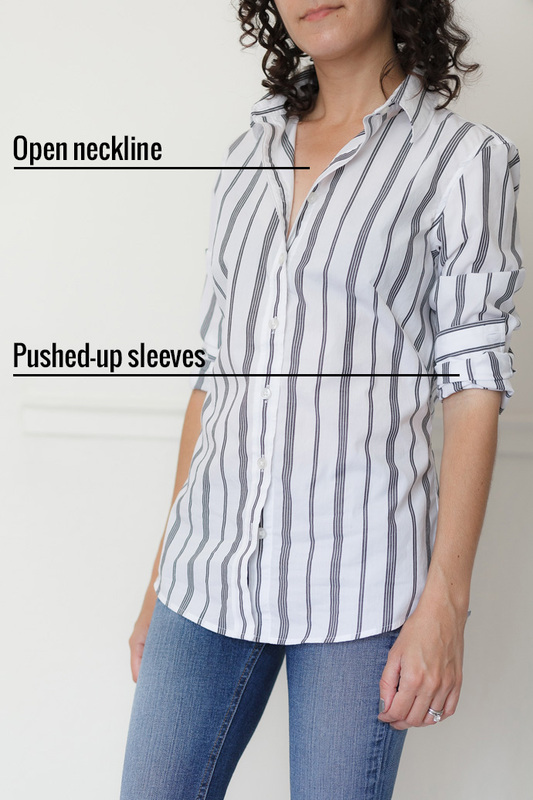 My personal favorites are wearing open necklines, pushing up or cuffing sleeves, and rolling or cuffing pants. Just that tiny bit of skin at the neckline, wrist or ankle is enough to visually give yourself presence. It’s a rare occasion you’ll see me without at least one of these areas exposed…likely even all three. I like to at least show my figure on one half of my body in an outfit. This can be something like wearing a belt or fitted sweater to define my waist, or wearing super slim jeans (especially if my top is lose or blousy). 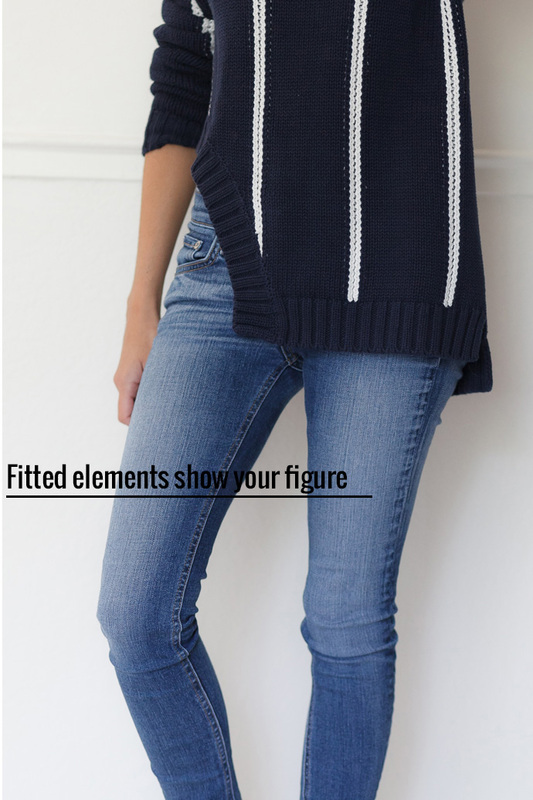 I prefer a slim leg line on my figure, so generally stick to skinny jeans vs. relaxed silhouettes on bottom. This gives me free rein to play with more generous fits on top while still showing presence on bottom. A dress I recently wore to a wedding is a great example of how I used some styling tricks to build presence in an outfit. In its un-styled glory, I look swallowed by fabric, so I gave myself presence by showing some figure (with a belt at my waist), and showing some skin (with an open neckline, cuffed sleeves, and strappy sandals). 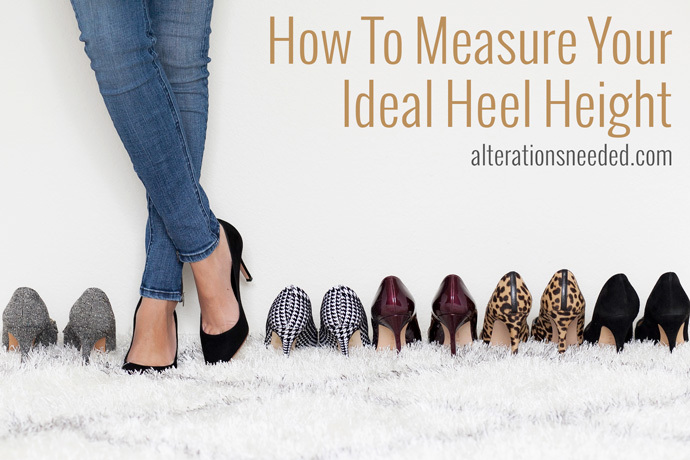 Wow, this is such a helpful post, such a simple idea but what a difference it makes to the look of your outfits. 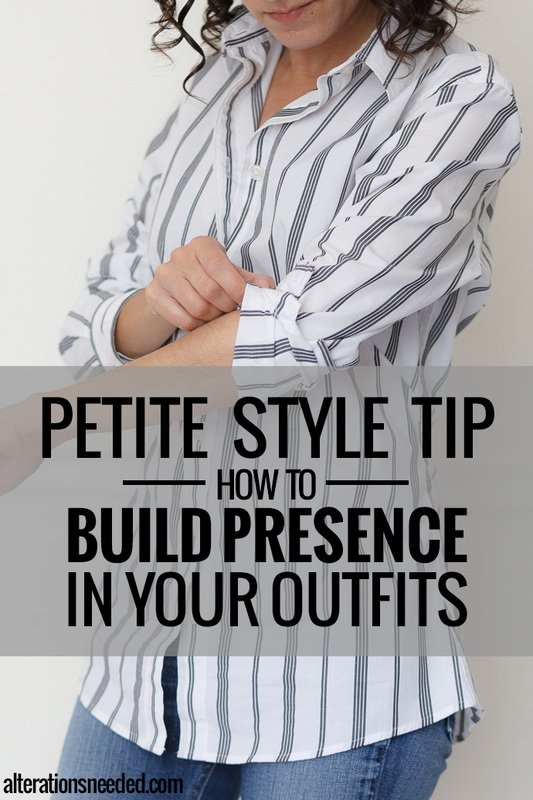 These are really great style tips for people who are petite like me! I have never thought of using fashion tape to keep neckline open before so thanks for the information! I’ve never thought about the angel that we are viewed at being petite. It’s like so much makes sense now. 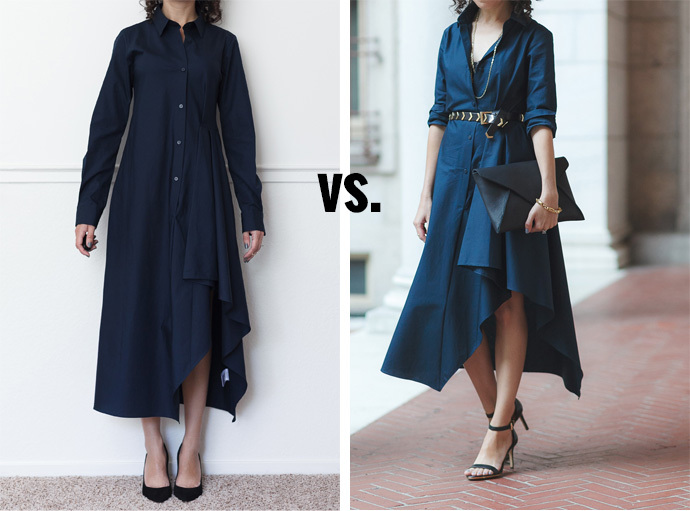 Which means we do need to define the waist specially if we’re heavy busted because from a top angel, we are broad on top… Which means that it makes more sense for me to keep my wide leg pants to balance my top with bottom. Do you agree? Wow, I agree! This is a great post. I’m much much older than you, but I always look forward to reading your tips, because they apply to everyone. Great post! Always enjoy reading your tips. Thanks for the post, it made a lot of sense. This is a great post! I never realized how many of these I do either instinctively or out of necessity, because I’ve just never felt like long, closed-up sleeves and pants are the right look on my petite body. Your style is fabulous! How do you use the tape to keep a shirt open (i.e. Button down)? 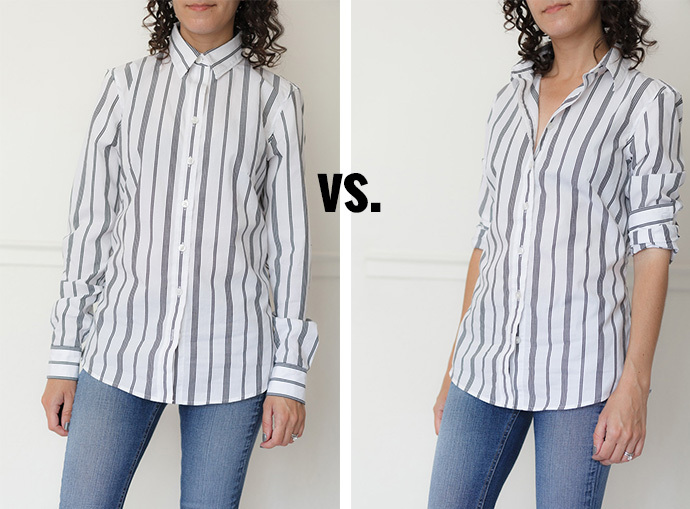 Are you taping the collar to the shirt, or the shirt to the body? such a helpful post! Thank you! 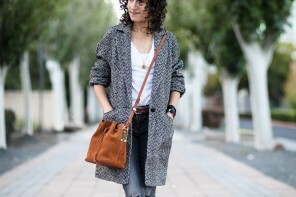 You are a petite fashion saver! Great tips! A new fan/follower! If you don’t mind I’d love to link your site on my own blog (once I get through trying to figure out my style again). Trying to consider creating a capsule or ? ?.